The People’s Republic of China and the Republic of Ireland appear to have very little in common: the People’s Republic of China – a huge, ancient civilisation with the largest population of all at the Eastern end of the Eurasian continent; and the Republic of Ireland – a small island at the opposite Western rim of Europe with only 4.4 million inhabitants. And yet, in spite of the vast difference in size, Ireland and China have an astonishingly rich and long history of bilateral exchanges. In recent years both countries have witnessed tremendous economic growth stimulating deep social changes. However, while the Celtic Tiger has seen his strength evaporate in the current economic crisis, China continues to be one of the centres of gravity for the global economy. Therefore, the incentives for Irish entrepreneurs, politicians and Irish society to look East are growing fast. Asian economic, social and political transformation after World War II is without precedent. Asia emerged from a war-torn, colonial battlefield of European and American interests to the global powerhouse. Japan, Taiwan, Singapore, Hong Kong and South Korea as the first two generations of ‘Tiger Economies’ set the tone for the biggest country, China to follow suit once the reform policies of the late Deng Xiaoping were introduced. The Third Plenum of the 11th Central Committee of the Communist Party of China in December of this year is one the most important events in recent history. It is the defining symbol for a pragmatic departure from policies based on ideology and for a state-orchestrated and society-based model for policy-making that has tremendously improved the living conditions of the vast majority of the Chinese people. Without the political and economic change in China, the whole phenomenon called ‘globalisation’ would have been incomplete. The consumer and productivity boom in the United States and Europe benefitted from cheap imports and competitive pressure from Asia in general and China in particular. The unique combination of authoritarian politics with pro-market reforms is questioning traditional ‘Western’ academic notions of democracy and economic order. As a role model for states and societies, the ‘Asian Model(s)’ of economic development have a deep influence on preferences and policies world-wide. The combination of export based growth, political authoritarianism and limited social pluralism is proving increasingly attractive to governments and people all over Asia, Africa and Latin America. For Europe and the United States, these developments are challenging. While very supportive of the first generation of emerging countries in Asia, the rise of China has been welcomed less unequivocally. The issue of engagement or containment of China as a potential global rival and desperately needed global partner is continuing while global issues need a truly global response – climate change, energy security, the fight against poverty, non-proliferation of weapons of mass destruction and the war against terrorism. Therefore, it is in the interest of European and American governments to seek close cooperation with China. At the same time, however, different preferences and norms underlying China’s policies are counteracting over-optimistic approaches to liberal world politics. In any case, a better mutual understanding is of core significance. A member of the European Union since 1973, the Republic of Ireland has left behind its status as the ‘Poor man of Europe’ and has re-invented itself as the fastest growing EU economy between 1998 and 2008. Its membership of the European Monetary Union plus entry to the Euro made it highly attractive for US multi-nationals. Structural and regional development funds provided by the EU were invested in infrastructure, research and education. Its soft-touch approach to regulation helped transform Dublin into a global centre for financial services – and contributed to its remarkable fall in 2008/2009. Relying heavily on property development and financial services, the global downturn after the credit squeeze setting in from 2008 onwards hit Ireland hard. However, with stern austerity measures implemented in 2009 the Republic gained international approval at a time when fellow European governments were vindicated by international investors. Revising its development path of the Celtic Tiger years, Ireland decided to push for more internationalisation, more openness – and a higher profile in Asia. The discovery of Asia by Irish politics and business had suffered from being absorbed by the local and European boom of the 1990s. 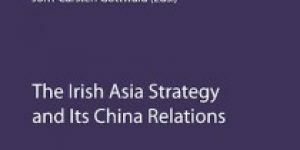 But even then, back in 1999, the Irish government developed its “Asia Strategy’. As research published in this book highlights, it was strongly focused on the economic opportunities provided by the rise of China. But to reap the benefits of Asia’s fast growth, Ireland had to improve its presence in the region, its understanding of China and Asia, its openness to people and ideas. Government, society and business joined hands to institutionalise the growing importance of Asia for Ireland. In November 2000, a group of businesspeople and China enthusiasts came together to set up the Ireland China Association, ICA. The Irish Institute of Chinese Studies was set up in 2006 at University College Cork and University College Dublin triggering a fast rise of China and Asia related activities. The Association for Chinese Studies in Ireland was set up in 2007, the Asian Studies Ireland Association in 2008. Finally, the School of Asian Studies was established at University College Cork in 2009 which offers MA Asian Studies and two Higher Diplomas on East Asian Studies. It marks the beginning of systematic research and teaching on Asian related subjects in Ireland. Ambassadors from Asian countries voiced strong support for Asian Studies with the Japan Foundation helping to provide Japanese language teaching and the Korea Foundation establishing the Irish Institute of Korean Studies at the School of Asian Studies at UCC. The Chinese government increased its outreach activities to a broader Irish public by establishing two Confucius Institutes in Dublin and Cork. Successful Irish entrepreneurs in China gained public appreciation for their achievements. The Irish Diaspora in Asia developed high visibility including the establishment of the Irish Asia Pacific Business Forum in Singapore and Irish Business Forum in China. The celebration of St Patrick’s Day in Shanghai began in 2008. The most obvious sign of Asia’s rise is the emergence of the People’s Republic of China as the only real contender of the United States in global politics and economics. In his article, Dr. Sha Hailin, former ambassador of China to Ireland, revisits the economics of China’s rise with a special focus on the role of enterprises. He provides insight into how economic growth has improved living conditions for the Chinese population. He shows the rising purchasing power of China’s increasingly well-off families – a feature taken very well by Irish and European businesses! China’s tremendous change has had a deep impact on its society. In his chapter, Martin K. Whyte highlights the effects of China’s economic growth on income distribution and living conditions in rural and urban China. People working in the countryside have been the first beneficiaries of China’s reform policies. However, once the economic reforms took off in the cities, the improvement in their individual and household incomes as well as infrastructure, health care, education etc. have continuously fallen behind the big cities. Deng Xiaoping’s famous saying about ‘some will get rich first’ emerged as the main policy line for the Jiang Zemin/Zhu Rongji government 1997-2002. Their emphasis on the new entrepreneurs contributed to China’s impressive urbanisation, but it left their successors with a deepening gap between the rich and the poor, the cities and the countryside, the East and the West of China. Under Hu Jintao and Wen Jiabao, policies and ideology have changed – at least somewhat. The current leadership is paying more attention to the needs of those who are comparatively losing out in China’s boom. The jury is still out whether this readjustment of China’s development strategy will be sustainable. Another aspect of China’s rise has been the issue of innovation and culture. Lee Kuan Yew, the former prime minister of Singapore and one of the founding fathers of the ‘Asian Century’ famously called upon its people to become more creative. 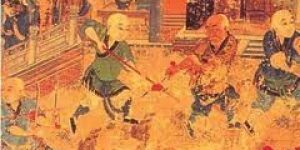 He feared that the Confucianist tradition was stifling creativity and thus innovation. In his chapter Geir Sigurdsson analyzes the links between education and innovation, between Confucianism and creativity. For those who are frightened by the sheer scale and speed of Asia’s rise, the idea of Western liberalism leading to better results in innovation has been a favourite anti-depressant. Providing a deep insight into innovation in traditional Chinese thinking, Geir Sigurdsson discusses the attempts to improve room for independent thinking in China’s education – or the failure to do so. His scepticism towards the potential of teaching creativity seems well advised – for both sides of Irish-Asian relations. Ireland came late to the table of European nations developing their specific policies to deal with the rise of Asia. Sean Gormley retells the story of the founding of the Irish Asia Strategy and its initial successes. He demonstrates how Ireland as an increasingly global player needed a better framework for coordinating and improving its various links and activities with China and Asia. A series of high-level visits helped raise the profile of Ireland in Asia and paved the way for Irish business to follow its political leaders. In this way, the Irish Asia Strategy set the tone for the future development of bilateral relations. 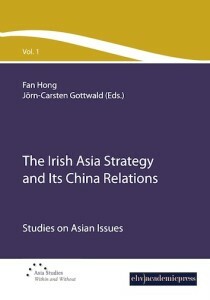 He rightfully points out, that ‘the core objective of the Asia Strategy 2005-2009 – the development of relationships at political, economic, trade, educational and other policy fields, in support of Irish trade to the priority countries – continues to be implemented in a rigorous and coherent manner ‘and will need further care in the years after 2009’. Political relations between Ireland and China date back to the years of the Irish independence movement. 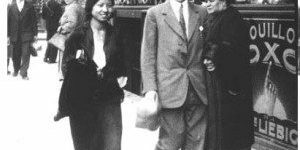 Ireland’s then Taoiseach, Eamon de Valera, received public appreciation in China when condemning the Japanese incursions on Chinese sovereignty in his speech at the League of Nations in 1932, as James Cuffe points out. 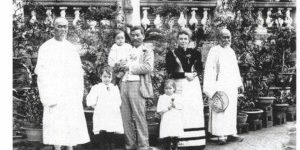 While there might have been some sympathy between the two movements for independence, the taking hostage and killing of Irish missionaries in China clearly harmed the reputation of the emerging communist forces in China. After the founding of the PRC on 1st October 1949, Ireland first kept diplomatic relations with the government of the Republic of China (Taiwan). But keeping in line with its neutrality, Ireland pursued an individual policy towards opening negotiations with the PRC to join the United Nations well in advance of its actual admission in 1971. Eight years later, the Republic of Ireland switched its recognition of sole legitimate representative of China from the Republic to the People’s Republic of China. A first Irish Ambassador to the PRC took up office in Beijing in 1980. Since then, political, social and economic relations have diversified and intensified in spite of occasional disharmony on issues such as Taiwan or Human Rights. From a Chinese perspective, it is remarkable that Ireland has been able to establish itself within the attention of a growing Chinese audience. In spite of British colonial officers with Irish roots such as Lord MacCartney and Sir Robert Hart, ‘Airelan, where it exists at all dwells in the collective imagination as a jumble of images and public figures spanning the breathtaking beauty of the cliffs of Moher to Roy Keane, Riverdance and a host of Nobel Prize winners’ as John Armstrong and Yang Ning observe. 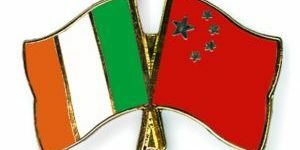 Within the Chinese state administration and its remarkable variety of world-class think tanks, Ireland is gaining a reputation for its rule-of-law based neutral approach in international relations. Commerce and culture both have spread the interest in Ireland beyond the narrow confines of the political leadership. ‘While commercial interests draw the two peoples into contact it is the ideas that they share, and sometimes disagree on, which bind them together’, as the authors conclude. Regulatory reform has changed the rules of the game for Irish business in China. But it has left unchanged the need for sustained political support. Michael Garvey, long-time representative of Enterprise Ireland in China, critically assesses the role government bodies have played in promoting Irish entrepreneurs in the People’s Republic. He highlights the important role of trade missions where the presence of senior government leaders has enabled Irish business to address their concerns and interests with top Chinese officials. In China’s Socialist Market Economy, support from the leadership is a valuable asset for successful economic activity. Enterprise Ireland engaged in matchmaking between Irish and Chinese businesses and conducted many activities to raise the awareness of Ireland as part of the implementation of the Asia Strategy. The rise in bilateral economic activity from a comparatively low level indicates the success of these activities as well as the amount of work that needs to be carried on. The Irish Asia Strategy might have had a clear focus on economic opportunities. However, efforts to bring along the friendship between Chinese and Irish citizens have flourished in recent years. Pat Ledwidge presents the story of the twinning between Cork and Shanghai. Both important harbour cities with a long history of openness and internationalisation, they have become close twins in spite of their huge difference in size and culture. Manifold activities have brought the exchange of citizens, students, and experts and have established Cork’s leading role in Irish-Chinese relations. Supporting University College Cork’s ambitious policies to promote Chinese and Asian studies, promoting summer camps, teachers and secondary school students exchanges, and all sorts of cultural activities, the twinning of the cities has proved beyond doubt its efficiency in deepening and broadening bilateral ties. The Irish representation at the Shanghai Expo 2010 will reflect the growing role of Ireland’s second city in Irish-Chinese relations. Education plays a crucial role in connecting people and cultures, as Fan Hong discusses in her contribution. Education became a first-class export commodity with English speaking institutions and countries having a strong market advantage as they teach and use the lingua franca of the globalised world. The re-enlightened interest of Irish institutions of Higher Education throughout the country reflects the Asia Strategy’s idea of promoting Chinese and Asian studies. However, the far reaching plans for large institutes fell victim to the shortage of available funds requiring the universities and institutes of technologies to develop their own programmes. Building upon successful programmes for Japanese at the University of Limerick and earlier programmes at Trinity College Dublin which were terminated in the early 2000s, the Irish Institute of Chinese Studies at University College Cork and University College Dublin, and the new School of Asian Studies at UCC have dramatically increased the number of academic programmes on Asia available in Ireland. The National University of Ireland Maynooth succeeded in setting up Irish Centres in Beijing and other institutes of technologies increased their China and Asia oriented teaching. Numerous agreements between universities in Ireland and Asia helped to grow the number of students from Asia enrolled in Ireland and paved the way for joint research initiatives and joint academic programmes. These promising developments have gained momentum and will have a deep impact on bilateral ties in the years to come. The area of regulatory reform has been much less contentious between the two states, as Jörn-Carsten Gottwald and Neil Collins argue in their contribution. Both countries used the mechanisms of regulatory reform to overhaul their economic order and speed up economic development. Shifting the emphasis from direct state control and direct intervention to indirect guiding through specialised agencies and semi-state bodies, Ireland and the PRC both joined the global trend towards regulatory capitalism. While Ireland developed a high profile as a light-touch regulator, the PRC took a different course. The leadership in Beijing rather integrated regulatory mechanisms into their sophisticated system of governance that strengthened the governing capacity of its party-state. In the current search for answers to the global economic downturn, these two different approaches towards regulation provide an excellent starting point for political remedies. One of the fields where Irish involvement has been very productive over the recent years has been the connections between civil societies. Tom Hardiman and Peter Ryan describe how the Asia Europe Meeting process which was introduced in 1996 as a new forum for dialogue and exchange between the two regions. Europe and Asia have from an early stage actively called for the integration of social actors into the relations. The Second Track meetings received very substantial support from the Asia Europe Foundation where Ireland has been well represented. ASEM’s formative years were overshadowed by heated debates about the existence and presumed incompatibility of Asian and European values. Setting up ASEM and ASEF on the basis of mutual understanding within an equal partnership built on the three pillars of politics, economics and society proved to be a decisive step ahead. With Irish co-sponsorship, the third Connecting Societies conference at the eve of the 10th EU-China summit in Beijing 2008 highlighted the improved profile of Asia and Asian studies in Ireland within this process. Finally, a group of young authors, Deirdre Cody, Niall Duggan, and Benedikt Seeman, put the Irish Asia Strategy in comparative perspective. Ireland has been a latecomer in comparison to other European countries. Being able to learn from the experience of major partners in Europe, Ireland has much to gain from an intensive build up and has avoided some of the political and economic pitfalls which regularly darken the sky in EU-China relations. The European Union, of course, has a deep impact on bilateral relations between Ireland and Asia. As the main authority on all foreign trade, and through improved policy coordination within the Common Foreign and Security Policy, relations between the two regions are providing the basis for Irish policies. In their contribution, Andrew Cottey and Natasha Underhill of University College Cork, ask what Ireland brings to EU China policies. They conclude that for a country the size of Ireland, its contribution is remarkable. The Irish experience as a regulatory innovator and high-speed growth market bears important insights for China’s ongoing modernisation. The social partnership helped safeguard social justice during the Celtic Tiger boom. Finally, its neutrality in security policies might be one of the reasons for the lack of major conflicts in bilateral relations – even at times of tension between China and the EU. In summary, the Irish Asia Strategy was a timely product of the development of economy, culture and education in Ireland. Since the establishment of the Strategy in 1999 Ireland has undergone a dramatic cultural, social and economic transformation. Ireland’s China relations have never been closer. Under the guidance of the Strategy, in the past ten years, the number of trade missions from both China and Ireland increased at a high speed, especially in the area of visits and exchanges in the field of high-tech industry. A large number of Chinese software delegations deepened their understanding of the development of Ireland’s software industry. Many Irish companies established branches and joint ventures and co-operation in China, and significant numbers of Irish intellectual property products have been sold in China. Now the economic and technical co-operation between China and Ireland has extended from consultancyservices and technical transfers to two-way investment in the telecommunication, machinery and software sectors. Progress has been significant at all levels and in many different fields. There have been frequent visits by high-level leaders of both sides. The Taoiseach, Mr Ahern, paid his first official visit in 1998 while the Premier of China, Zhu Rongji, reciprocated in Ireland in 2001. The President, Mrs McAleese, paid a very successful State visit to China in 2006, and the Premier of China, Wen Jiabao’s visit to Ireland in 2006 was the second time a Chinese premier had visited in just three years. As soon as Mr Brian Cowen became the Taoiseach he visited China in October 2008. To date China and Ireland have signed several agreements since 1999 including an Agreement on Avoiding Double Taxation (2000), an Agreement on Scientific and Technical Co-operation (2000), an Agreement on Funds for Scientific and Technical Projects (2002), a Memorandum of Understanding on Authorised Destination Status of Chinese Group Tourists Travelling to Ireland (2004), a Memorandum of Understanding on Health Co-operation (2004); and an agreement on China Scholarship Council/ Irish Universities Association Joint Scholarships (2008). Furthermore, the two countries have already established a co-ordination mechanism for regular meetings of a joint economic and trade committee as well as groups in the areas of science, technology and education. The link between the peoples of the two countries has also developed rapidly. Cork and Shanghai becomes sister cities in 2005 and cultural exchanges between two cities have flourished since then. The Irish Cultural Festival in Beijing and Shanghai is a great success and attracts large audiences, while there are also Chinese Cultural Festivals in Dublin, Galway and Cork. St Patrick’s Day is now celebrated in China and Chinese New Year in Ireland. The establishment of the Confucius Institutes in both UCC and UCD in 2006 have stimulated cultural and educational developments between the two countries. More and more students and scholars exchange between universities, institutes of technology, and independent colleges in the two nations. Today more than 40,000 Chinese students are studying in Ireland. All these exchanges play significant roles in enhancing the relationship between the two countries. At the same time, the establishment of the Irish Institute of Chinese Studies in both UCC and UCD in 2006 and the School of Asian Studies at UCC in 2009 marked a new era of Chinese and Asian Studies as academic disciplines in Ireland. They provide an excellent opportunity for Irish students to study China and Asian-related degree courses and are producing new generations with language skills of and knowledge about China and Asia. The Irish Asia Strategy just celebrated its ten year anniversary. It is time to review its achievements and plan its future. We hope this book will provide to decision makers and general readers in both Ireland and China a comprehensive review of the Asia Strategy and its China relations.